This message speaks volumes to me. I am always interested in what’s on the fashion pages but that does not mean I have to become a fashion victim, I am just curious and trying to keep up with the trends. I remember always cringing when short skirts, short shorts (anything above the knee) came into the fashion wave but hoorayed when an item came in that totally fitted my body type (below the knee pencil/A-line skirt). I will say it, I don’t love my legs but there are two of them and they get me from A to B so I am incredibly grateful for that. I wished I could pull off a cute short skirt with no dramas, but it’s not being myself, being comfortable in my own skin. 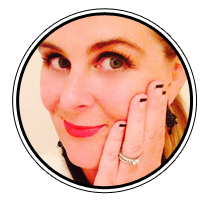 As I wrote in my first blog, Meet Melissa, I became more interested in styling when I had kids and became very conscious of giving back to myself, even if it was turning my exhausted sleep deprived frown upside with some fabulous red lipstick! As I always say, you have to find YOUR style, what works for YOU. You will always look all the more comfortable with yourself and feel good! 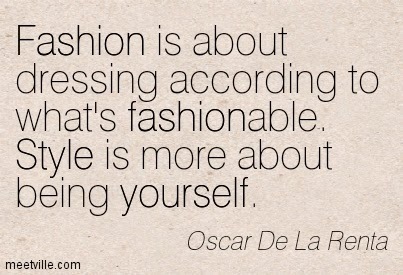 Style is about being comfortable and individually fabulous.